Discovery Planet - Birthday Parties! Celebrate your birthday with us at Discovery Planet! 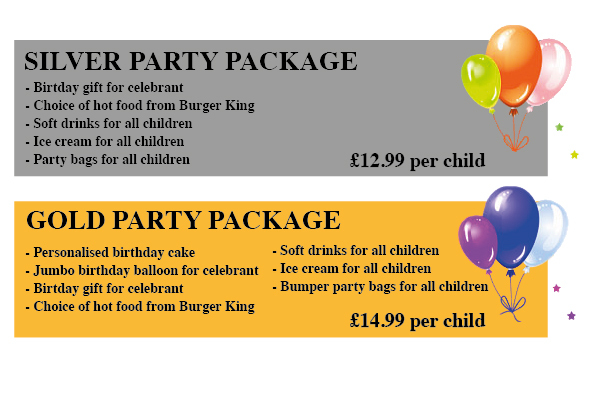 We are experts at parties for children and have several exciting party packages We host birthdays for groups the size of 8 - 20 guests with a maximum age limit of 10 years a height restriction of 53 inches (134 cm). Please note that all food is provided by Burger King, and while you unfortunately cannot bring your own food, you are more than welcome to bring your own birthday cake! What does a typical party look like? On arrival you will be asked to produce your guest list, which will be given to you upon booking. We will use this list to ensure that only invited guests are admitted and also to keep track of food orders. We are also able to provide parents with Burger King nutrition information in case your child has a food allergy. After check-in, all children will receive a wristband and be admitted to play! Approximately 45 minutes after your arrival, we will place your food orders with Burger King. You can place orders for guests who have not arrived yet and will be charged for this as normal. 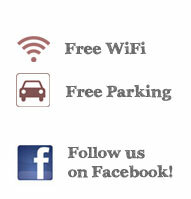 However, any guests who arrive after food orders have been placed and are not included in them will not be admitted. This is to ensure the smooth running of your little ones special day. After around 1h 15min has passed, we will announce over the tannoy system that it is time for your child's party. All our staff will blow whistles to attract attention and create excitement! Your party will now enter the party room! The room will be set up with decoration, balloons, cups and plates - all ready to use. The disco lights will be on and music will be playing. The party host will be waiting in the room ready to greet your party. The host will bring the food, present the cake and sing happy birthday. Then exciting games will commence, such as pass the parcel, musical chairs or musical statues. The birthday child will be asked to choose a birthday present from our party cupboard. Before the party comes to an end, all children will be given party bags and receive free ice cream on their way out.